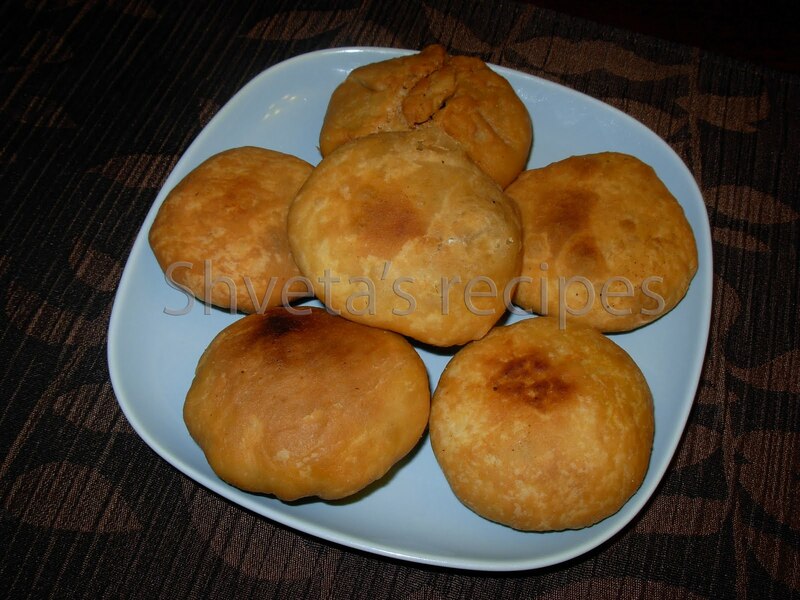 Kachori is one of the most common western Indian snacks. It is great on its own with tea/coffee and even tastes better as assembled chaat. It lasts for a couple of weeks if stored properly in air tight container, so it is a great anytime snack. Soak moong dal for at least 4 hours. Steam moong dal till its half done. Keep aside to cool. In the food processer, coarsely ground the moong dal. In a pan, heat cooking oil. Add cumin seeds. When it starts splattering, add hing and steamed moong dal. Also add red chili powder, turmeric powder, garam masala, amchur powder and ajwain. Mix well. Cook till the filling is all dry. Keep aside to cool. 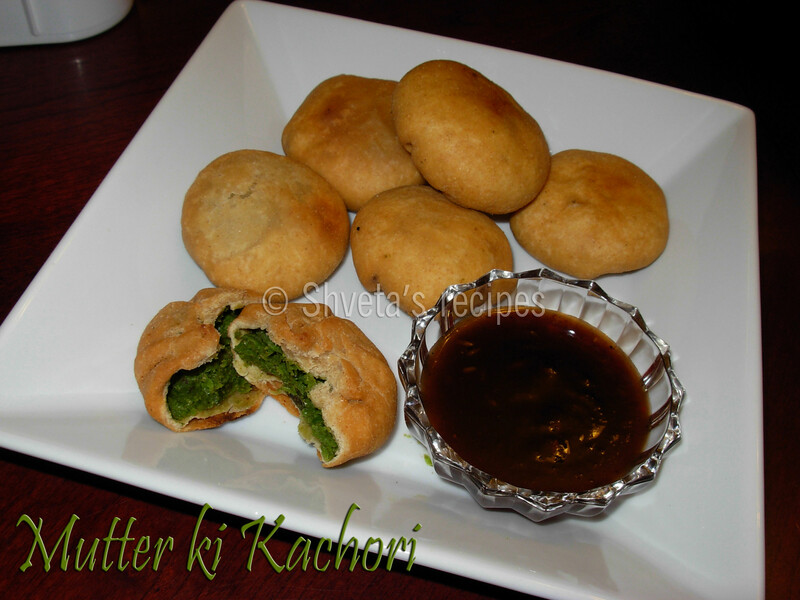 Note: Kachoris can have different fillings such as peas, mawa filling as dessert etc. 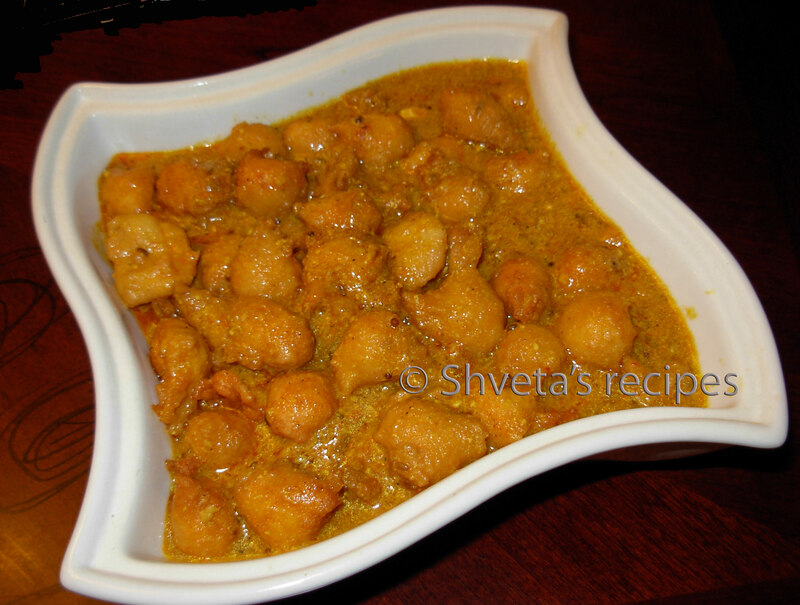 Assemble Raj kachori as chaat. 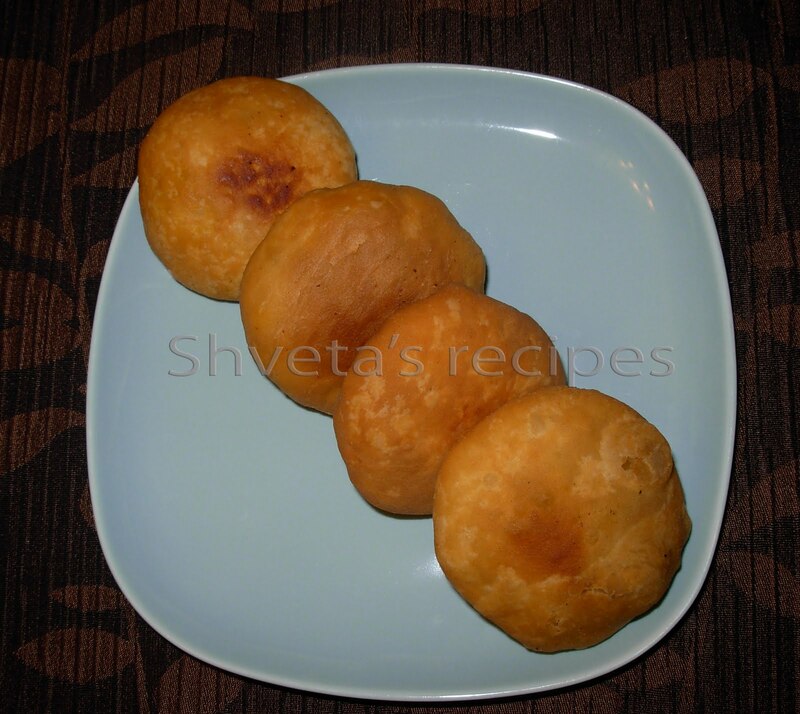 Place 2 kachoris on a serving plate. Garnish it with sweet tamarind-date chutney, green chutney and spiced yogurt. Also add chopped red onion, namkeen sev and chopped cilantro. Raj kachori is ready to be served. 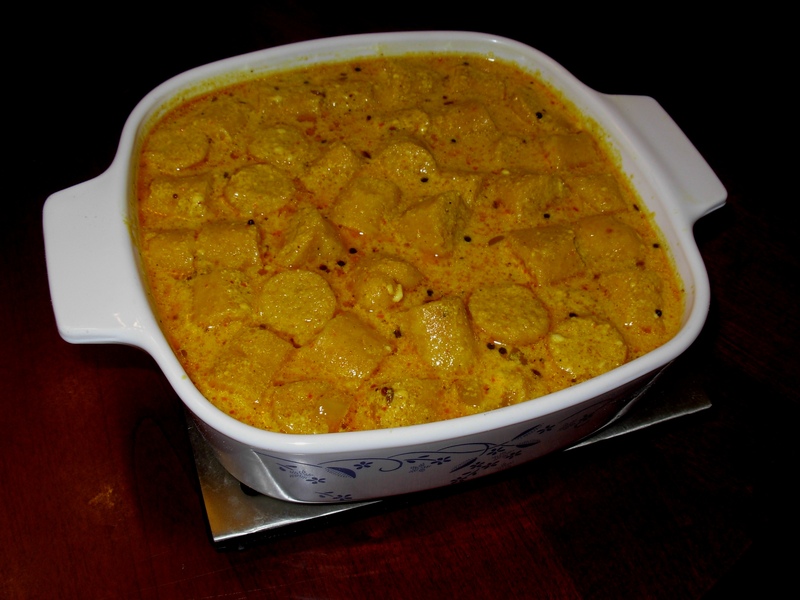 Gutte ki subzi originally comes from Rajasthani cuisine. It is a mild flavored yogurt based gravy with spicy dumplings in it. It can be prepared as simple recipe without using onion -garlic or can be made I prefer, with onion, ginger, garlic and lots of flavorful spices as Dries fenugreek leaves [kasoori methi], Fennel seeds [Saunf] and Carom seeds [ajwain]. here, I’m sharing with you my version of Gutte ki subzi. Combine all the ingredients for making gutte in a large bowl and knead well. Dough should be little stiff not soft. Divide the dough into 8 parts and make thin cylindrical rolls of it. In a pan, heat oil and add cumin seeds, now add slit green chilies. Let it crackle for couple of minutes. Add finely chopped onions in the pan. saute for 4 minute till it becomes translucent. Now add the yogurt mixture in the pan. Mix well and let it simmer for 3 minutes on medium-low heat. 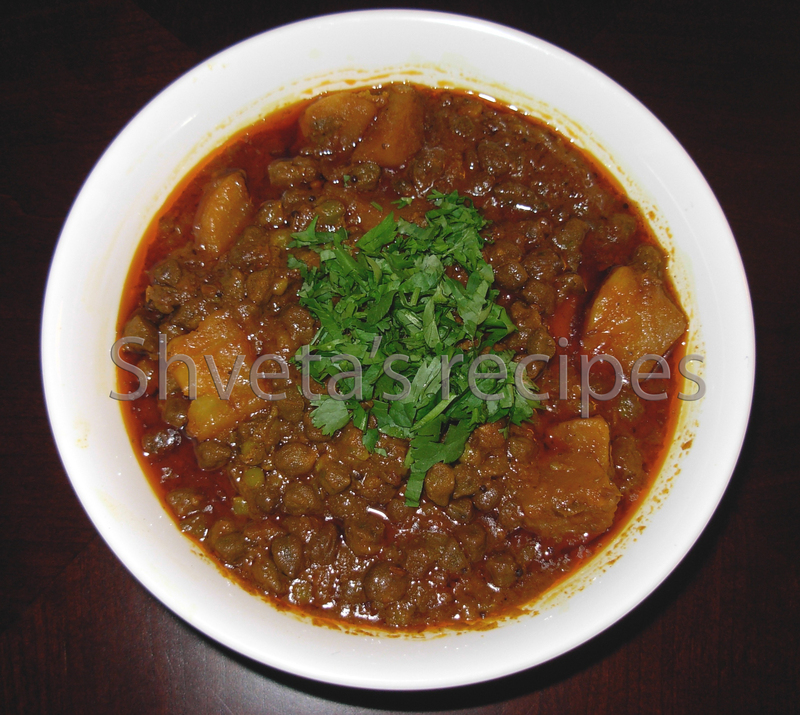 Add kasoori methi[IPTIONAL] to the gravy and add cooked gutte to the gravy too. Add a cup of water and let it simmer for another 5 minutes . Gutte ki subzi is ready to serve. Enjoy this shahi gutte ki subzi with garma garam[hot] roti/paratha or fragrant steamed basmati rice. 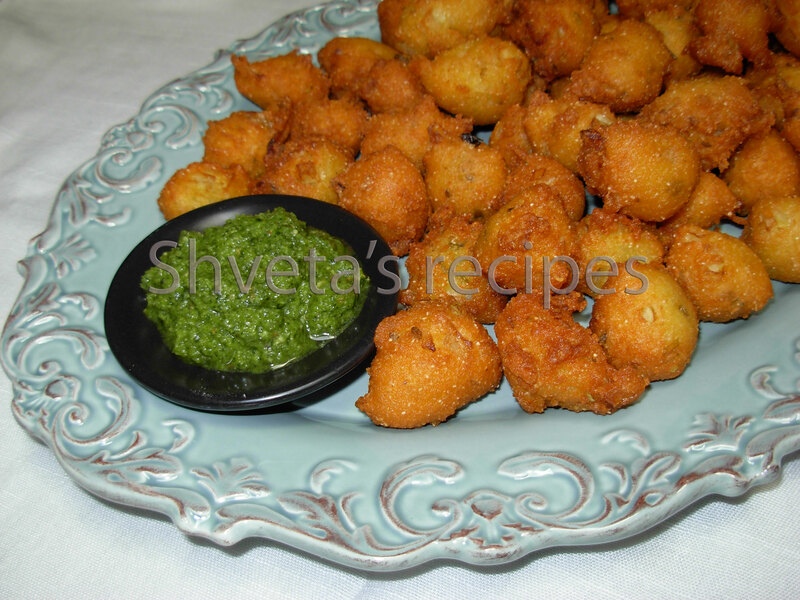 Moong dal vada or Moongode is a Rajasthani dish. 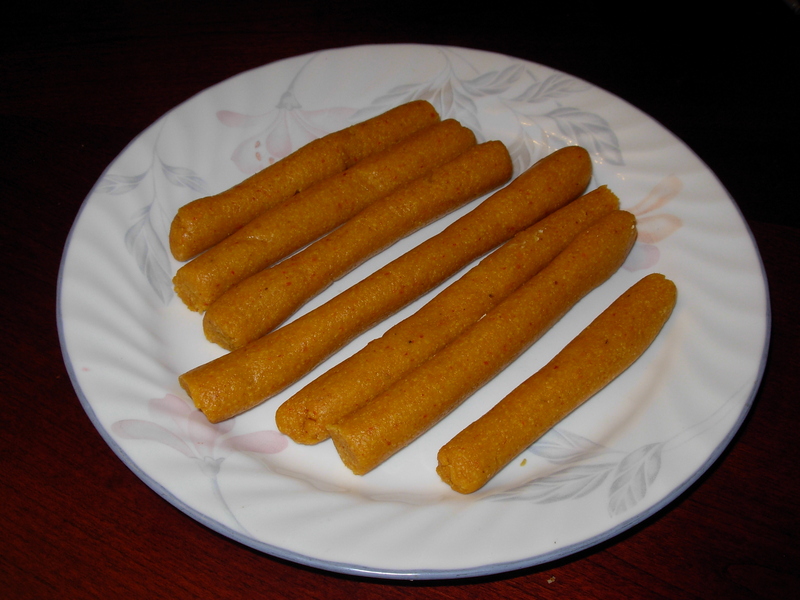 I make this as an appetizer or a side dish. It is a great tea-time snack. Kids like it too. Wash moong dal thoroughly and soak it in water for 6-7 hours. Grind soaked dal with using very little water. Add asafoetida powder, cumin seeds, black pepper and salt. Add chopped onions, ginger, cilantro and green chilies to the batter. Mix the batter for few minutes. It will incorporate some air to the batter and make it light. Take small marble size batter and fry it in the oil. Repeat till all the vadas are done. It should be golden and crispy. Serve warm and crispy with a cup of tea, coffee or lemonade. Serve with green chutney and tamarind chutney. If you are in a mood of cooking Bhindi (Okra) differently, without using onion-garlic, probably this is the recipe for you. It is also known as Rajasthani style Bhindi. Besan gives a crunch to the dish. 1. Wash fresh Bhindi in plenty of running water and dry it thoroughly with the kitchen towel. 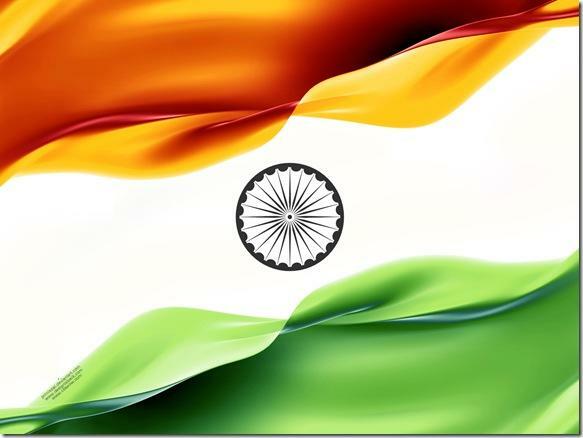 If using frozen, thaw the frozen bhindi in microwave for 3 minutes. Cut the tops and tails and slice lengthwise in half. 2. In a pan, heat 2 tbsp oil. Add sliced bhindi and shallow fry it till it turns half green and half golden brown. Keep fried bhindi aside. 3. In the same pan heat 2 tbsp oil again. Add cumin seeds, mustard seeds and asafoetida powder. When it crackles, add sliced potatoes. Sauté for another 2-3 minutes mix well and cover the pan with the lid. Turn the heat to medium-low for 5 minutes. 4. Add fried bhindi to sautéed potatoes. Add one spoon at a time besan to the bhindi and mix well. After adding all the besan to the pan, cover it for 4-5 minutes to cook the besan thoroughly. 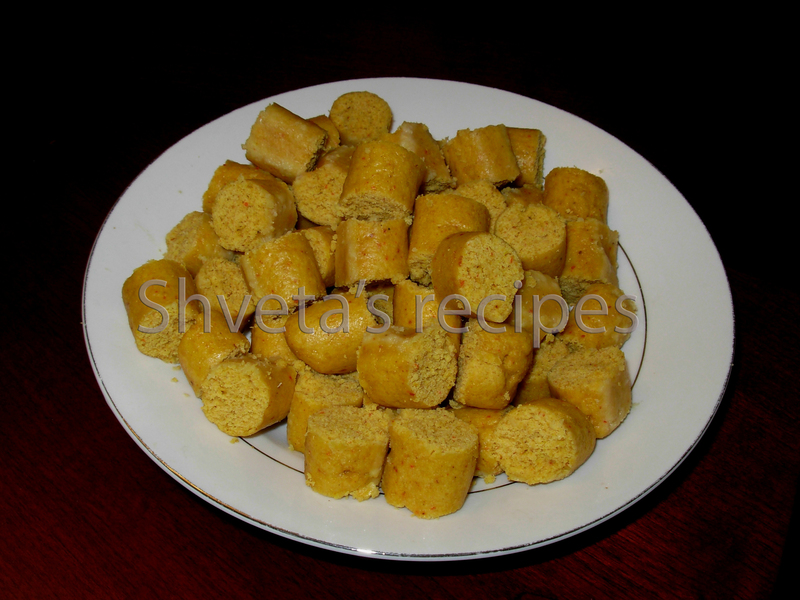 Add all dry spices (turmeric powder, red chili powder, coriander powder, garam masala powder, amchur powder and salt). Mix carefully without mashing bhindi or potatoes. Enjoy hot with fresh roti or paratha.